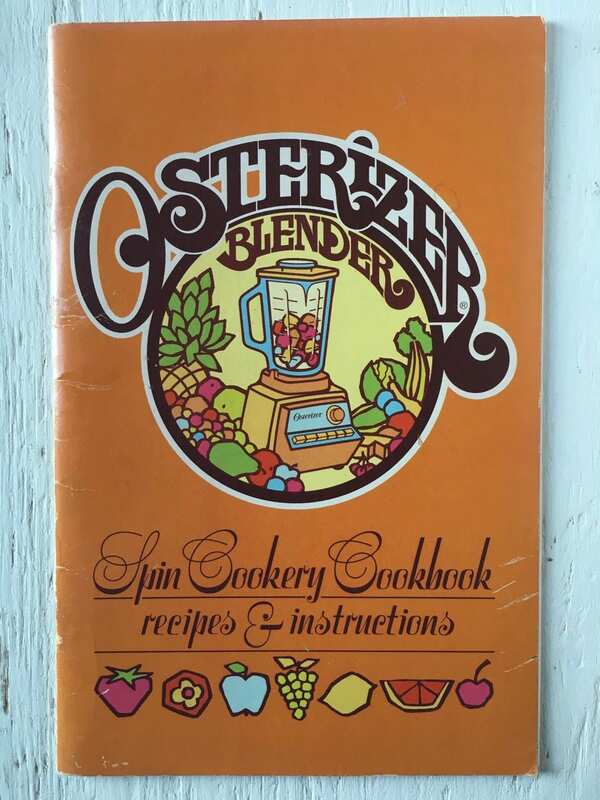 Published in 1977, Osterizer Blender Spin Cookery Cookbook contains 35 pages of recipes and info on using your Osterizer Blender in your meal making. Recipes cover appetizers, beverages, breads, cakes, cookies, desserts, entrees, frostings, jams & preserves, pancakes, salads & dressings, sandwich spreads, sauces, soups, special diets (baby food) and vegetables. Wow, who knew you could make so much with a blender?! This copy is in good condition and has tight pages, and has some slight creases or marks on the cover. Check my shop for more vintage cookbooks! We'll combine shipping if you are buying multiple cookbooks or other items. Any questions, contact us!